Such storms are typical at this time of year, with as many as eight such lows a year. … climate models estimate the number of such lows may decrease by 25 per cent or more by the end of the century, particularly in winter. ASHISH SHARMA, SCHOOL OF CIVIL ENGINEERING, UNSW: The type of flooding that you’re seeing from this big East Coast low event is something you can expect to see much more of in a more localised, more regional type of setting, especially in the urban centres of the world. TRACY BOWDEN: After analysing rainfall and temperature data across Australia’s East Coast, engineer Ashish Sharma and his team predict more frequent and dramatic flash flooding, but stormwater systems aren’t designed to cope with these changing rainfall patterns. ASHISH SHARMA: If global temperatures continue to increase, then a warmer atmosphere will store more moisture and the storms will get more intense and they will get more concentrated in time and in space. Sharma’s a rainfall and waterflow expert, and he may think he’s talking about town planning and stormwater drains, but he has the “right” quote, and it all meshes neatly for viewers. More floods, more storms, global warming. It’s a package. Likewise, Conrad Wasko is a civil and environmental engineer saying Floods will become the new normal? (Sydney Morning Herald). Flash floods such as those experienced across the state will increasingly become the new normal as global warming continues, according to research published by the University of NSW in a recent issue of Geophysical Research Letters. The study finds a link between changing air temperatures and intensified storms occurring across more localised spaces. Because so much of academia is trained to be politically correct it’s not hard for an activist journalist to seek out a secondary expert and get the quote they seek. Roger Franklin points out that Sharma has his name on about $2.5m worth of climate grants. He is probably very genuine, surrounded by a groupthink bubble of 100%-like-minds at UNSW (with Andy Pitman, Steven Sherwood, Chris Turney etc). But while the ABC won’t invite any skeptic outside of a “peer reviewed” climate scientist to talk, they aren’t so fussy about getting engineers, or even a coastal planning professor (below) to add to the blur of “experts”. Not long ago, when the land was parched, droughts were going to become the new normal. Apparently, whatever is is “going to be” the new normal already is the new normal by the time we hear about it on the ABC and Fairfax. Bravo the modeling-prophets. There will apparently be less storms if the climate warms, and there’s no evidence that this is due to man-made climate change anyway, or that climate models have any ability to predict these storms. What we need are more climate modelers. BARBARA NORMAN: …I might as well add to this, the pending sacking of CSIRO scientists who are providing the data to local councils who cannot afford that data in their own right. If that data disappears with those scientists disappearing then councils will again be having to make decisions in an even greater vacuum. Should this be a wake-up call to the CSIRO itself to stop some of those sackings of the climate scientists? The councils have been ignoring their own history for a hundred years (see photos above). Which then becomes M.S.M. news. How is it the BoM can model ECL predictions for the end of the century, but, they couldn’t predict this ECL 1 month ago? Maybe they should add some more ‘eye of newt’ to their useless carbon (sic) forced computer models. It’s much easier to predict the weather/climate 100 years from now, as you won’t be there to cop the flak when you are proven wrong. Now please send money. From past historical records, including biblical……..………………………………………………………………………………………………………………….people just love talking about the weather…….as far as the Greeks and spectacles go, talking about the weather is a winner…..you wanna spectacle??? ?… you got it. Glen Michel:……after the “séance”, all will be revealed hehehe. That includes, the latest in clairvoyant/esoteric weather predictions… Please subscribe. The main thing is to just ‘talk about the weather’. It’s not about the money. I well remember an ECL on the W/E 8,9,10 June 2007 when the Pasha Bulker washed ashore near Nobby’s in Newcastle. Same deal; lots of flooding, hundreds of cars caught in subteranian car parks ruined, homes inundated and businesses destroyed. History repeats and these dumb bunnies think we can’t remember. ECL are a fact of life here in NSW as the bureau admit but the ABC and Fauxfax are still pumping the tires of the Greens and the ALP because they take climate change seriously. That was about the time we had floods in Gloucestershire and elsewhere. Interesting, the timing, seeing as how there are floods again in the UK and western Europe. The pattern is similar. Are there any other similarities I wonder? Does it remain true that flooding is directly related to the lack of maintenance to canals and other drainage? Lack of maintenance based on Green theory that natural water courses should remain natural and with no regard for the building of these drains and transport canals by humans. Somehow my brain saw this guys name, and interpetted it as “Bazinga” – Sheldon Cooper would be proud…. Eye of newt, and……………….CO2 of frog…..
“eye of newt & CO2 of frog”……………………………………………………………………………………………………………………………the frog emission is ok so far. Frogs have bad breath, but at least there is a breathable atmosphere. I suspect even Humpty Dumpty would be embarrassed to use words with so loose of a connection to reality. He merely wanted to be the master of his words. Now, in this new age, words are used as weapons. Words no longer mean things nor do they even mean some foggy miasma of internal intention. They are tokens used to elicit emotional reactions that will lead to subjugation of others to the speaker’s whim. When the targets of that subjugation dare to speak out against the words and try to show why they are false or empty, they are immediately accused of hateful speech. Once accused, they are guilty as charged and are expelled from the sacred hive to be silenced forever. Worse, if it is thought it could be gotten away with. Personally, I think “Witch doctor” is a much too kind of a label for such misbegotten examples of humankind. They are destroyers of the ability to think, communicate, and understand each other. We are to cower in fear and do as they demand by cooperating with the destruction of our minds and lives. Lionell, you nailed it! This is exactly whats been happening in recent years in the “intersection” (yes, I know how that sounds) between language and social causes. Well said mate. Sandbagging is so 20th century. Astroturfing is the new normal kids! Count the number of words implying extremes in this . . . the monthly weather forecast. Will I even see July? The fact is that where I am the weather, in total, has been relatively beneficent for over a decade. Beats the hell out of the droughts , and the occasional flood , between 1975 and ~1999 that’s for sure. Wonder where the temperature manipulated data fits in??? …oh ya, extreme on the new record side. Hillary can feel the backstabbing knives as President Obama will refrain from backing a nominee at the current time. Hillary was soooo looking for the US government and President Obama to start going after Trump. Yep…key stone cops….all 3 of them…although I suspect there will be a nice warm cell for hillary waiting, and a nice apt reserved for Obama overlooking Lenins tomb when he hangs up his hammer and sickle…trump…who knows…. Whether at Collaroy Beach or Paris, photographs tell a million truths. The Paris flood, worst in decades, is photographed here, along side its 1910 twin. 0.98C ± 0.27C. The last century was no exception. There was no discernible anthropogenic temperature ‘signature’ within the natural variation of 1C. (Lloyd PJ, 2015. Energy & Environment Vol. 26, No. 3). The political signature is however daubed and splattered all about, in Green fluoro ink. It’s now time for the eraser. Thanks for that link. WOW! I respond to vous, Monsieur le “Red-Thumb.” A challenge . ter homogenize or propagandize what actually happened. I was listening yesterday to a distinguished gentleman on the subject of vaccine development, in this case for dengue fever. Although it was intended for use where dengue is endemic, Indonesia, PNG, etc. he mentioned that with climate change it would probably would have to used here eventually. Same sort of thing as shifting the vineyards south. Due to the media blitz a lot of people believe in global warming. I guess it was just another global warming Corollary for MSM Beaches. Where there is currently locked jet stream (500 hPa)? There is a hotbed of Klimatariat ratbags at NSW Uni and they already had their script prepared for the ECL’s arrival. I can foresee riots in the near future. Between those who advocate climate change is causing worse droughts and those advocating that climate change is causing more high intensity rain periods. When galactic radiation in Oulu exceeds 6500 counts will be more weather anomalies also in Australia. In Europe, the many thunderstorms because the mixed air masses of different origin (north-south). Attack of winter in Argentina. I think now is a good time for taxpayers to be reminded of the wonderful desal plants throughout Australia which are emblematic of the real cost of climate change alarmism which now talks about floods not droughts being the norm. The only thing that changes in this debate is the forecasts of the AGW alarmists.The dictionary definition of parasite needs to include all these AGW opportunists living off the taxpayer. Tasmania’s hydro water storage problems seem to be over! When Bass Link is repaired, they can sell stacks of cheap power to Victoria – again. Despite the problems outside do you reckon there might have been a big party at executive level? The rain was a godsend for the Hydro catchments, nothing to do with planning. Looking at the Lake Levels yesterday they can run the river stations flat out as the dams are spilling and the wind has also been kind to them. 100 mm. over the Central Plateau is lot more than normal. But still the big ones, Great Lake and Lake Gordon, are nearly empty and will take years to refill. The rain also has caused a lot of flooding, mainly over NW and NE Tas. There is a large list of road closures and bridge damage, and Launceston at the confluence of the South and North Esk rivers will be flooded as well as Longford. I doubt if it will be as bad as the 1929 flood. The South Esk river has a large catchment and it all comes to Launceston through the Cataract Gorge which is spectacular at the moment. Who/what was blamed for 1967 high seas? 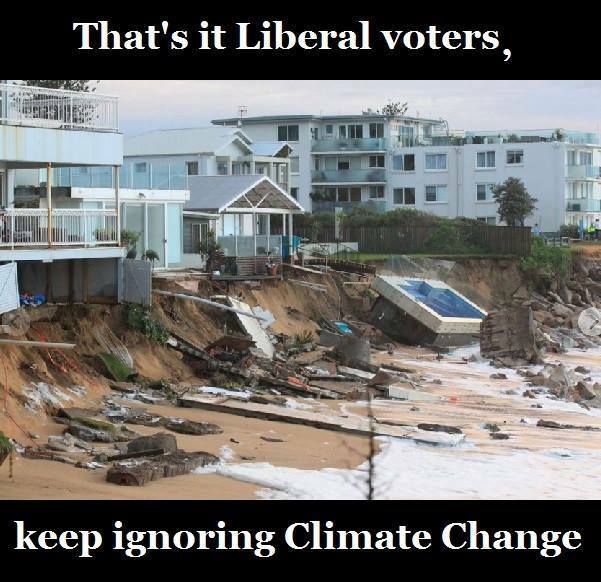 There was no global warming nor Tony Abbot to blame then? Come hell or high water – we MUST be able to allocate the blame!!!!! More baseless stone throwing. Its so easy, just present the counter evidence in the real world and it would be all over. Great counter zinger- it is you, not us- wins every time !. If this is the real world of scientific research then we’re all stuffed. You still haven’t published anything of worth, my point still stands. The World’s scientific community is still waiting for your evidence, instead, you waste your efforts preaching to your converted flock of 20 regulars. Frank, you think this post is scientific research? That explains a lot. Frank could tune in to Ray Hadley’s show this morning and check out the segment on Flannery, who even got his own song. The first thumbs twofer in my blogging! The World’s scientific community is still waiting for your evidence…..
so far you haven’t provided anything by brain-dead psychofantic rhetoric. Undoubtedly there is more biff at Watts, just the other day an intelligent fella set me straight on the 208 year climate cycle. Me thinking it had something to do with the moon, but its just the sun. And we’re still waiting for the empirical proof of CAGW. Oh yeah, I forgot, you haven’t got any. You’ve just got useless models and appeals to authority. In reports of the storms there’s been an unprecedented absence of the word “unprecedented”. There was one fellow who used it. People don’t seem to know the meaning of the word. I laugh when I hear someone say something like: ‘unprecedented since such and such a time’! They’re just being “” innovative “” Gary. One of the bigest problems with this…….it is becoming suddenly obvious that indoctrination of kids and students in our education system must be happening big time. ‘Climate change’ must be being shoved down kids’ throats by stealth and heavens knows what else…..
Look at the ‘safe schools’ program being pushed in the schools for example, especially in politically correct Victoria. This is a smoke screen for politically correct indoctrination. It is reported that a large number of seven and eight year olds don’t even understand the content being ‘shoved down their throats’ in this program and are reporting to their parents they think it is all ‘joke telling’. We all should now wonder what political views these future adults will have in a few years time when they grow up though. And what approach to life will the present uni undergraduates have when they get out into the real commercial world where you have to do things to actually put food on the table. Brainwashed without a doubt.People here must take stock of this and accept that there is a great shift where individuality is out and the collectivist mindset is in.This gormless behaviour has always been evident but it’s going to get worse. Brain dead I may add. Now that’s a telling prefacing disclaimer. Temperatures have risen but have stopped but if they were to rise, the weather would be different? Who needs a science degree for that? All this from a mid 1980s temperature rise of 0.5C which in previous decades before the new electronics would have been near impossible to detect and may well be simply an instrumental change discontinuity. However it is easier to agree with Chicken Little. AUDIO from 3hrs1min in to approx 3hrs41mins. Issue of the Day: The Storms: intro immediately mentions Climate Change/2 degree rise in temp could submerge 200,000 homes; should we start changing the way we build now? No national coastal strategy for a $226 billion risk is just irresponsible. Thanks for linking the ABC Nightlife from last night. Back when I was a licensed kangaroo harvester the vehicle radio got ABC only – due to some internal tuning problems which I didn’t have time to fix. Steve Austin ran the show then. I used to wonder how he didn’t get sacked, with some of the subjects he got up. I eventually worked out how he did it. How things change. These days, despite the tyrany of transmitter power we’re apt to take the ads and Alan Jones rather than ABC. With a strong preference for that all alpha station – OFF. Sorry Ian but we are lucky we don’t get Jones in WA, especially not at night, that would be heartburn- opinionated richardhead, look at his anti CSG stance, what a wally. Of course all self interest. Unfortunately the ABC is usually worse IMO. Oh for an edit button. Olivine mop up acid in seawater?????? It took me a while to work that one out. Olivine would have no effect at all, but then there is no acidification, so adding ground up olivine (with no effect) would soak up (non existent) acid. Is this a PC re-run of a Benny Hill gag without the show girls? I know, I know but go listen to the link Pat posted @ 1hr 04. Even funnier than Micallef tonight. Not only does the truth hurt the poor CAGW et.al. supporters fragile feelings, they think the simple act of refusal to accept or consider an argument is sufficient to destroy the argument. The use of uncorrected empirical evidence, logic, and demonstration is beyond their cognitive powers. Hence, the red thumb is presumed to be devastating when applied. Personally, I view it as a badge of honor. Their only defense against my words is the red thumb. If that is all they have, they don’t have much at all. That is why they need to feed at the government tax trough to stay alive and use the heavy hand of government to get their way. Otherwise they are nothing more than scraps blowing in the wind. 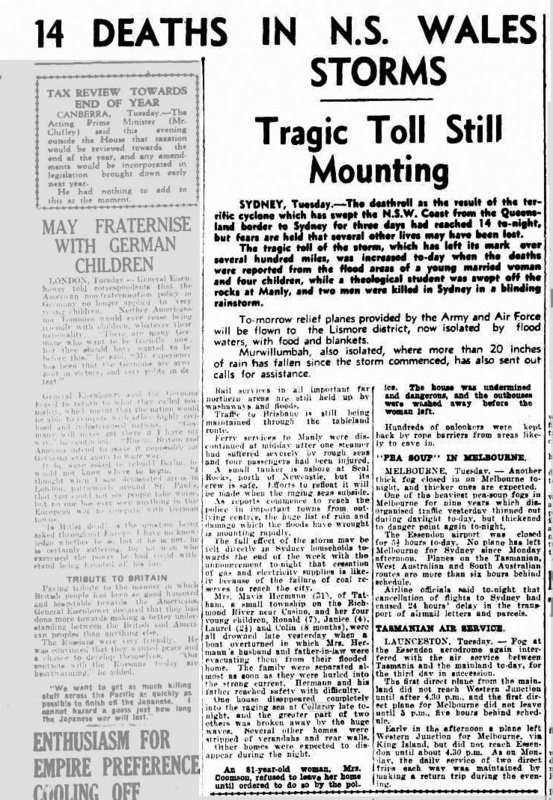 Apparently a seawall was going to be built just a few years ago at the exact spot where the houses are now damaged at Collaroy, but many locals strenuously objected, despite many saying it was necessary. This is the world we often live in today, what is necessary and common sense often doesn’t get done, and what is not necessary often gets built (like the desalination plant at Kurnell). High tides and strong on-shore winds cause coastal erosion somewhere on Earth every week. I regard it as rather naive that we humans build houses on the sand in places like Collaroy beach which are guaranteed to suffer periodic severe erosion. Sea-walls are expensive temporary measures that merely delay the inevitable path of nature. Perhaps the Viking King Cnut had some faulty DNA that got passed down to us Anglo-Saxon Aussies ! If I were to choose to live on a beach such as Collaroy, or even, say anywhere along the Florida Atlantic coast, it would be in the simplest, cheapest-to-build, house I could – a grass hut, more or less. If the tide washed it out, fine, $100 or so to rebuild, maybe a bit more for a hammock and appliances. ‘course the posh neighbors wouldn’t like it a bit. The bottom line, scientifically (yes, I know, how naive is that? ), is that storm strengths are fundamentally limited by the energy available in the system, and a GOOD scientist should know that a change of one degree in the global mean temperature, from a nominal 288K, only changes that available energy by 1/288, so there should be no discernible effect upon the average tropical storm/hurricane strength…as, indeed, the record since 1851 shows. And now, back to the political theatre of our criminal elite, er, political leaders. Is the energy in the weather system a function of T^4? NO! The energy in the weather system is almost all a function of the total atmospheric columnar water, along with the location of the greatest latent heat of evaporation. This latent heat store remains sunward while the atmosphere rotates below, creating interesting weather! After such mechanical entropy production,(hurricanes, tornadoes, desert downwind from wind farm, even the circulation cells) any left-over energy is easilly dispatched to space via atmospheric EMR flux, in every direction except Sunward. There need be no surface EMR exitance whatsoever! So much for carelessly misapplying that correct S-B equation. This always results in nonsense! This whole process, is but very moderately associated with the temperature of surface or atmosphere, and has never been scientifically considered for possible learning of Earth’s weather patterns! A very good outline Will; we need more comment like this so that we understand what’s happening. There is often a large gap between basic scientific understanding of what is possible in theory and what REALLY happens in practice. Please accept that I do non know! This is just my best SWAG! My only claim is that I have tried to measure actual EMR exitance from Earth’s surface (hard to do) v.s. potential for such exitance (radiance, easy to do). My results were about 30W/m^2 average, under foreseeable conditions! I,(engineer),et_al; were paid handsomely for our efforts, measurements, and interpretation of those measurements. To me the results are so full of possible error that they are not worth the paper they were written on. Some of the reports I wrote, I do not have sufficient clearance to read and correct! The measurement techniques I still remember! I hope to be able to successfully argue that the Climate Clowns have absolutely no physical evidence of their ludicrous fantasy! Something severely lacking within the ranks of the CAGW True B’lver Brethren. Yes – in 2002 thousands formed a line along collaroy beach indicating where the council intended to build a sea wall and protesting it’s construction. ‘ASHISH SHARMA, SCHOOL OF CIVIL ENGINEERING’ – who would want to take any notice of him? O/Topic but thought this was amusing – thermal imaging shows that trees reduce temperatures in Perth at street level! Who knew??? Imagine the impact of more clouds… those are in the climate models, right? Because apparently shade can cool hot days, so they would accurately measure cloud cover, right? I’m in North America and I knew. As most clouds, those fluffy white things up there that sometimes turn black and ugly and sometimes when they even turn a sickly green colour it is well and truly time to get the hell under something substantial, all of the above can’t be defined or accurately assessed for their transitory effects and collective effects in each of the 50 km square grid cells of the localised climate models let alone in the half degree square grid cells plus the five to seven levels in each grid cell of the Global climate models. In short Clouds, particularly the big Equatorial Cu Nims that take so much heat energy from the ground level through evaporation of water at and near ground level and then release that latent heat as the water vapour at near stratosphere levels condenses into cloud droplets, the heat being released in that process enables large amounts of ground origin heat originating from from solar radiation ie; sunlight, to be radiated back out into space, particularly the latent heat released near the top of the cloud which is also then reflected even more definitely into space by the brilliant white of the cloud tops at near stratosphere levels. The same process occurs with all convective cloud types across the planet. And that process is distinct from the direct radiation into space from daylight Sun heated ground sources when there is a completely cloudless night, an effect seen regularly in most of the world’s driest deserts. Clouds and how changes of even transitory nature in cloud amounts, cloud levels in the atmosphere, cloud types and cloud densities are the arguably the biggest feedback mechanisms that control the global climate within the very narrow temperature bounds that we see everywhere across the planet. It is believed that a 3% to 4% change in global cloud cover is enough to drive the global climate from a warming sequence to a cooling sequence or vice versa. The total global cloud cover can be assessed approximately by satellite but the effects of individual cloud groups in each modelled grid cell is still a very important unknown. So the climate modellers just feed in their own personal assessments of cloud effects and impact on the temperatures and precipitation or something based on some paper somewhere to get their models to spit out a few dozen runs each of which has had one or a number of the few dozen parameters changed a little or a lot from which they actually select the runs of that model that they think is closest to reality in their opinion. John von Neumann one of the mathematicians who made the atom bomb possible. John von Neumann did the calculations for the fission process in his head. Stan Ulam [ ? ] used a mechanical calculator. von Neumann was usually first and correct with the answers. It’s a cold winters morning in Melbourne … as they hop into Di Natale’s fossil-fuelled SUV for a fossil-fuelled jaunt around the block. “The Greens will establish an Active Transport Fund worth $250 million annually for cycling and walking infrastructure. Leading from behind in a fossil-fuelled SUV singing Bohemian Rhapsody by Queen seemed a good idea at the time. On ya smart bike “reducing traffic congestion and pollution” , or let them eat cake? So now a little extra co2 causes big waves ? These climate kookoos need to be rounded up and given what they truly deserve …. deliberately ‘un’ padded cells. More likely the Kookoos will end up on Q and BS next week as either guest preachers and/or the loaded audience hosted of course by ABC chief propagandist BSer Jones ! When the cult starts to strut its adherents within engineering faculties you know this is a serious form of intellectual cancer the world is suffering. That said, I do offer the caveat that maybe this is just a ‘good for engineers’ opportunity that is too good to let pass without trying to secure funding for a major study of sea walls etc. I reckon the faculty may well have organised its best ‘sciency communicators’ to get out there and preach the benefits of getting the engineers in early and often. I write this as a UNSW faculty of engineering graduate, slightly embarrassed and thanking Gaia I am from a different specialty. These are “environMENTAL engineers”.. very different from real engineers. I sent Da Silva a rousing email this morning but the reply opined I live a sad and depressing life.Maybe he should be a physiologist. Any other stories of houses being damaged by this storm..
or just these few built in a very stupid place. ? No damage along Newcastle beach front when I drove along the foreshore this morning. Gees this CO2 stuff is highly selective in its aim , isn’t it. !!! In 2002 about 3000 people lined the beach from Collaroy to Narrabeen to protest a planned 1.1km sea wall amid claims it might destroy the beach. “The council has abandoned us and it is their fault for listening to stupid greenies and surfers,” she said. In one sentence we see the great divide. I wonder what Council would say if they sold as a group to Chinese investors? The consortium could reclaim land from the sea (they have previous experience) and build a modest size hotel to satisfy the green blob. This from the Daily Telegraph last December. So far, countries representing about 50 percent of global emissions have announced that they will submit legal paperwork to the United Nations documenting their compliance with the deal. The pact will become binding when at least 55 countries representing 55 percent of global emissions formally join. The inclusion of India, the world’s third-largest emitter after China and the United States, would guarantee that the deal will go into effect before the next American president takes office. The US and India have signalled they are on course to formally approve the Paris climate agreement this year, boosting hopes it could come into force by 2017. Delhi and Washington also moved a step closer towards nuclear energy cooperation. US company Westinghouse is primed to build six reactors in India, although finer details including financial package had yet to be agreed, said a White House official. EPH will reap benefits as long as European Union members stick with separate national reserve plans, according to Matteo Mazzoni, an analyst at Nomisma Energia Srl in Bologna, Italy. ***Such backup provisions may mean subsidies and taxes will make up almost half of European electricity bills by 2020, he said. That’s up from about 36 percent now, according to Eurelectric, the utility lobby group. ***wouldn’t be surprised if “almost half” is an underestimarion. ‘When the Stevens results were incorporated into a determination of the earth’s climate sensitivity made by Nic Lewis, the result was a best estimate of the earth’s climate sensitivity of 1.5°C with a narrow range of 1.2°C to 1.8°C. This is a significant lowering and narrowing of the IPCC’s assessed range (again, 1.5°C to 4.5°C). 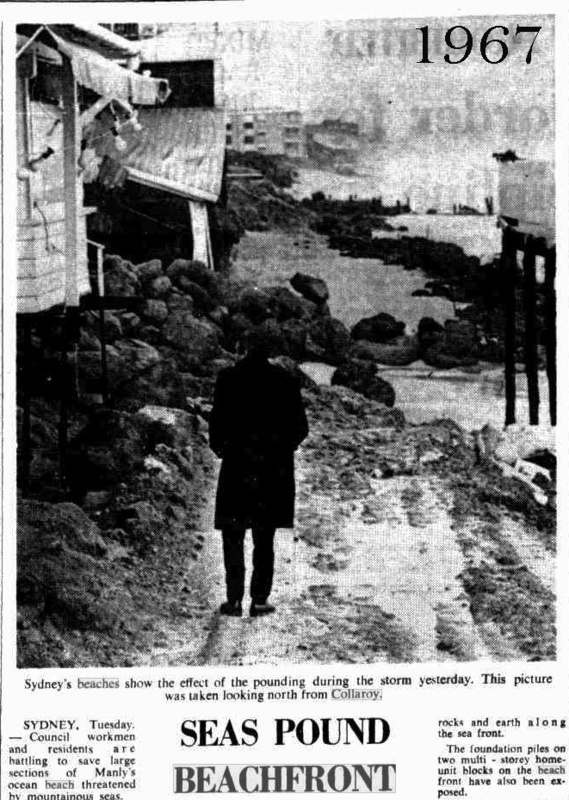 In Feb 1984 there was an east coast low of the coast of Wollongong. I recall the rain commencing at about 1am on a Saturday morning and pelting down until 9 am then continuous rain at a lower intensity for rest of the day. A rain gauge on the escarpment above Wongawilli recorded over 930mm in that 24 hour period. I understand it was highest 24hr rainfall event recorded in Australian history. The Dept of Public Works (who were the premier organisation on such matters at that time) estimated this to be close to a 1 in 10,000 year event. University of NSW who wrote Australian Rainfall and Runoff updated their rainfall calculations based on this and other events that have and still occur on the Illawarra escarpment arising from east coast lows. Although we have had other intense events including this weeks east coast low, only Robinson (west of Wollongong on the tablelands) received 613mm in this recent event and this was over a 48 HR period. Its just normal weather for this part of the world. Did anyone catch yesterdays Australians editorial regarding the Barrier reef? IExcellent and can only hope they extrapolate that to climate séance generally. I had a look at the location of Collaroy Beach on a map or two plus google Earth. There is simply nothing to the east across the Tasman Sea and seaward from Collaroy Beach for a many hundreds of kilometres that would slow down let alone protect Collaroy Beach from a major storm. Why anybody would want to build in such a dangerous position other than to provide a very ostentatious display of personal wealth and social status is beyond me. I would lay money that there aren’t any local professional ocean fishermen who have built anywhere near that particular beach front. The other point I gave some thought to has arisen from research by many skeptic science sources over the last decade on the claims of the climate alarmist cultists that ocean storms would become much greater in numbers and much more intense and severe and therefore potentially much more damaging and even disastrous when making landfall due to an anthropogenically warmed globe. Instead the skeptical scientists after going through the data from decades past have found that precisely the opposite is the case. Both the numbers and the intensities of major storms including extremely severe storms such as Hurricanes / Typhoons / Cyclone, the numbers globally are right down to amongst the lowest levels recorded for a couple of centuries past at least. Maybe some other commenters here have noticed but the claims which were so loud and definite like so much in climate alarmist science , that storms would be much more common and much, much more severe with the dangerous global warming, have become very quiet and muted over the last three or four years until there is almost no mention anymore of this formerly very common, loud and strident claim by the GW cultists only a few years ago. The reasons for the lower storm activity is suggested, although like so much else about hypothesis in climate alarmism, unproven, is that the past recent warming in fact has created more equality in the temperatures of the contrasting equatorial and polar air masses. The past warming has reduced the contrasts between latitudinal temperatures which are now slightly smaller and the flow of heat energy from the equatorial regions towards the poles is subsequently slower and so there is less turbulent interaction between those Equatorial air masses and the sub polar and polar air masses and therefore less storms which are themselves less intense and damaging when and if they make land fall. The corrollary to this is if global temperatures begin to fall then storm intensities and numbers will begin to increase again back closer to the conditions of the LIA or worse, that incredibly stormy period of the disastrous cold, famine and pestilence inflicted 14th century and the Sporer Minimum. When I look at the excellent Uni of Tasmania’s IMOS Ocean Portal and see the SST’s as they are distributed around the Australian continent in the the Latest Information page one can see that the very warm tropical and sub tropical ocean waters come down as far as Brisbane. The Cold waters of the polar and sub polar Southern Ocean reach as far north as Tasmania and the southern coasts of Victoria. The NSW coast is right where those warm and cold waters run up against each other as can be seen in the IMOS map of average SST’s around the Australian continent. Which to my mind, if the temperature contrasts between the sub tropical waters and the sub polar waters increase due to a cooling climate [ research suggests that the equatorial regions don't vary much in temperature and in fact have not warmed during the claimed recent global warming episode] or even the continuation of the very slow and current long period slight cooling of the Antarctica continent and the consequent cooling of the southern Ocean which is already happening, then the NSW coast will experience a very much greater number of severe storms with much greater severity of those storms. But I guess my attitude is just to shrug the shoulders at these examples of the demonstration of ostentatious wealth and social position by building very expensive mini palaces right on the oceans edges so as to demonstrate one’s social standing, right where they are guaranteed to be washed away every couple of decades as even our short national, couple of centuries history has regularly shown us, will never make the slightest difference to those who know they know and are absolutely sure they know better than any of us oldsters who have seen it all before. Frankly those people who built in such a vulnerable location should be left to take the consequences as they most likely were advised, even informally, not to build there because of the danger from ocean storms and the very exposed location of the site. But, hey look at the view and just imagine how jealous our friends and acquaintances will be and how the parties we will have will impress all the right people. And so they should wear it and leave the rest of us get on with our own lives which nobody is going to rush to rescue the other 97% [ Cooks Climate Constant ] of us when weather and nature again gives the rest of us a raw deal as it regularly does. Thats what insurance is for! I do chuckle though as the local Council now has a hell of a rating problem. How do you rate a property that has been half washed into the sea but still has most of a partly wrecked house on it.? The thing about East Coast Lows is that they should become less intense in a warmer world, but the warmist are pushing the line that AGW will ‘amplify’ the impact. I agree with your general thinking that ECL will become stronger if the Southern Ocean continues to cool. Also keep your eye on the Subtropical Ridge, which appears to be all over the place at the moment. 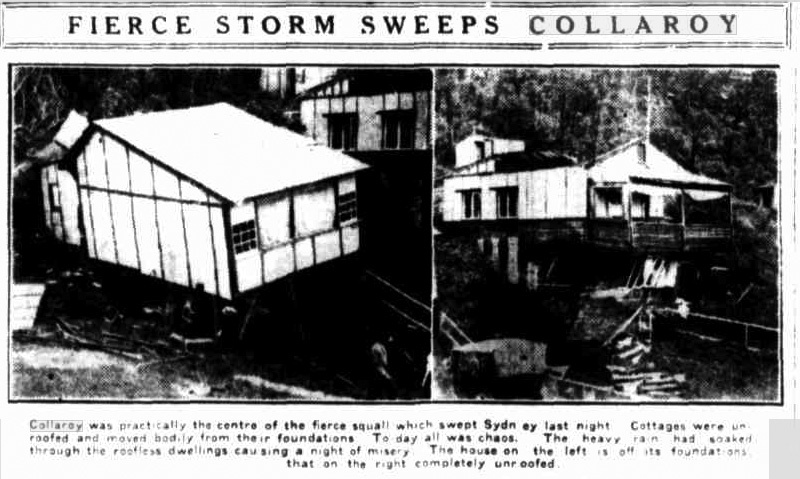 1945 a storm washed away several houses and damaged several others. What’s the bet they weren’t locals but the grennwash? In the mind of the greenblob its global warming. here we are thinking the ABC has over-CAGW’d the storms! This is not just a bizarre consequence of a bit of bad weather. It is a stark warning that civilisation can only survive in harmony with nature. If we destroy our planet, we destroy not just our current way of life but the human heritage itself – the high points of civilisation will be forgotten, drowned, ruined, effaced. The question, from The Washington Post’s Jim Tankersley … was whether any evidence could persuade the libertarian billionaire that regulation of carbon emissions is necessary to head off disastrous global warming. as the western media celebrates! India has a different take! Despite the hopes of the US, India may not be able to stick to the emission timeline on the climate change agreement made in Paris last year, government officials have indicated. Come on, everyone is joining the party (pact) ! Don’t be left out! See, they all -said- they’d be here. Maybe in a minute or two. You’ll see, they’re all lining up outside, I just -know- it! That leaves the vexed question of trying to work out a commonly held definition of “green”, with the struggle to do so throwing up some uncomfortable ramifications for a market intended to accelerate the spread of a low carbon economy. Companies and banks have accounted for 58 per cent of green bonds sold in 2016 to date, according to BAML, alongside supranational agencies, like the European Investment Bank, and governments. ***The vast majority of the corporate issuance comes from banks, which are now the dominant issuer responsible for $25bn of the $121bn of bonds labelled green ever sold. Mr Mercier argues that the next chapter in the growth of the market may be fuelled if tax advantages are handed to the buyers of green debt, as is the case with the municipal, or local government, in the US. OT, I don’t know where TH finds these things. Reminded me of a situation at uni a few years ago. As climate change brings more powerful storms and sea surges, figuring out not just how to save lives but also how to help those who survive recover from their losses and rebuild their lives will be crucial, researchers say. “Disaster risk reduction (DRR) phase one is saving lives. DRR phase two should be saving livelihoods,” said Terry Canon, a researcher on climate change and development issues at the Britain-based Institute for Development Studies. Still, some level of “supported” migration – when families get help establishing a new life elsewhere – will be needed as more of southern Bangladesh finds itself with salt-contaminated drinking water and fields, experts warned. “Some of these areas will become uninhabitable. What kind of transformations does that require?” Canon asked. the writer is training/mentoring more than a hundred CAGW journalists through Thomson Reuters!!! comment #40 is in moderation. ***presumably there’s an emissions year that runs from June to June! Carbon is energy. Do you want a low energy footprint? Then vote for a low energy footprint by voting ‘low carbon’. These days, low energy/footprint equals low carbon. As long as you are “Carbon”, you can be low emissions. If you are depleted uranium emissions, or nitrogen cleaning emissions from your washing machine, then you can still be “low carbon” if you can kinda get that weird monomolecular diatribe. “comment #40 is in moderation.” ….. Strewth!! Oh dear has the stasis of everyday predictable, normal weather been upset. Has something abnormal really happened within the vagaries of a chaotic weather system? Is this truly evidence of AGW mediated climate change or just normal weather variation. Evidence from past events would indicate it is all quite normal, or at least within normal extremes of variations that have been recorded. Given all that it does look like the alarmist weather cranks are just out to make a big noise news story from a perfectly normal (but unusual) event. Starting in 1969 I drove the pacific coast highway to and from work in Santa Monica five days a week for 12 years. And every winter the storm damage to houses built on little more than sand and crossed fingers was extensive. So was the water damage to the highway in the form of mud, potholes and sometimes washout of parts of the pavement. One year the rain was so bad that cars parked on the cliff side of the highway were actually covered so deep in mud that several of them finally disappeared completely, leaving no evidence that there was anything there but a pile of mud. The northbound lanes were closed or diverted into one of the southbound lanes more than once. The traffic snafu was epic in magnitude to say the least… …Hollywood couldn’t have come up with something as good in their best disaster movie. All this was obviously due to manmade climate change since the history of such events along that part of the coast only goes back about 100 years (roughly) and we can’t afford to assume that it wasn’t better before accurate records were kept. Right? Of course if you were a geology student of any worth at all you would have studied the Santa Monica Mountains. They are a classic example of what happens to such formations that you can actually watch happening before your very eyes from one year to the next. So you would know that they are all sandstone of various compositions and when wet, they simply dissolve and go wherever the water takes the resulting mud. Even light rain can cause trouble if it keeps up for a long enough time. You would also know that coastal storms are nothing new since sailors have been recording them for centuries all over he world. In fact, do not sailors look for protected anchorages for just that reason, leaving anything that floats exposed to the sea during a storm is an invitation to disaster. And the actual storm can be a long way out to sea and the waves — funny thing those waves — have a nasty habit of traveling hundreds of miles just to reach land where they can spend their energy crashing against whatever is there with devastating force. And the energy in a wave can be enough that continuous pounding can take down even reinforced concrete seawalls over time. We’ve recently seen waves wash whole trains and towns out to sea, never to be seen again, none of which was from a storm at all but caused by an earthquake. Waves have consequences wherever they hit the shore, regardless of their size or origin. Not withstanding all of this evidence, we now believe that recent storm damage is from human caused climate change. Even the disastrous earthquake that devastated Japan has been suggested as evidence of climate change by some who can’t count to 1 and get it right even if their life depended on it. Go figure. And by now you must realize that I’m laughing my head off at these, well I’ll be polite and call them “scientists, journalists, academics” and whatever else they label themselves as just so I don’t risk upsetting any of them and causing a heart attack. I would give anything for a few days in which at least one problem we have doesn’t get worse than the day before. I won’t hold my breath while waiting for those few days to come along. Blue is not a good looking color on my face. No problem, Keith. I do ignore them in spite of recent complaints. It must mean that CO2 and Global Warming is especially hitting the urban centers? So out in the country there are no problems. Well, how’s this for a back down? An ABC radio interview, yesterday, with some actual experts in the matter who describe the Collaroy beach situation as normal course of events! Anyone see this mentioned on their nightly news? sea level over the millennia has gone up and down a great deal, and therefore the coastline just happens to be where the sea level is at the time. So we know we get those extreme events, and in fact I’ve chased this up historically all the way back to the great Dunbar storm of the middle of last century. So there’s enough evidence to show that even today, these big storm events will cause the sort of erosion and the flooding of our rivers and lakes accordingly. As you can see from the photo at the top of that column, Pittwater Road is immediately behind these Houses. If Dubai can use massive Sand Dredgers to create Artifical Islands – Mike Baird needs to get one of those Sand Dredgers and do sand replenishing along the whole NSW Coast. Interesting to see there is to be an inquiry made why there was cloud seeding over Tasmania when there was already a flood warning current. Man is really affecting the Climate!